If necessary, move users,Section 67.2, Assigning a Different Calendar Publishing Host to Users. 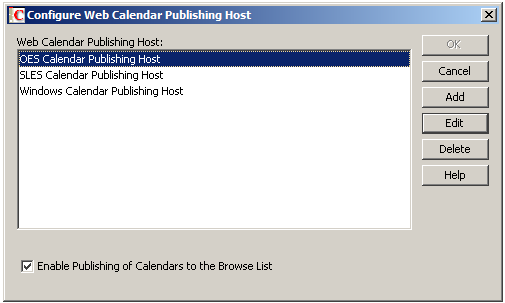 Select the Calendar Publishing Host to delete, then click Delete. Restart Tomcat where the Calendar Publishing Host has been deleted, as described in Restarting Tomcat. Restart the POA that used to communicate with the deleted Calendar Publishing Host, so that the POA does not try to reestablish the connection.